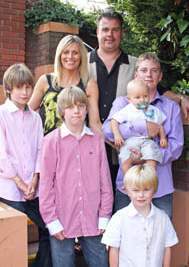 Lincolnshire Man, Geoffrey Lewis Capes was born in the Lincolnshire market town of Holbeach on 23 August 1949, the sixth of nine children, and went on to be one of our most admired and respected sportsmen. He is one of the most capped British male athletes of all time, even though he was forced to retire from UK athletics in 1980, with 67 international caps – and returning 35 wins. But at the heart of it all, Geoff Capes is a Lincolnshire Lad. There are many fond memories that Geoff remembers of his childhood in Lincolnshire and apart from the winter of 1963, they are generally of the long hot summers that the Lincolnshire Fens enjoyed. Geoff may have been different from other children in many ways, for a start he was stronger, faster, taller, but at the end of the day he was a normal lad who enjoyed the countryside and scrumping apples. Geoff later became a member of Holbeach Athletic Club where he was coached by Stuart Storey who was from the same Lincolnshire village. 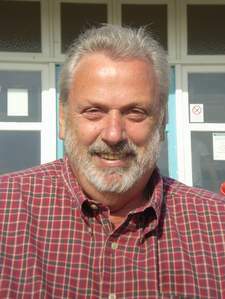 Storey's advice regarding Geoff Capes wild reputation, was to have a positive and lasting effect. It was a good period to grow up in and very different from today. He fondly remembers the August Bank Holiday Sports Day, when thousands of people would attend and the whole event was a real family day out. "Now those were the days," he laughs. Geoff Capes Grandfather had been a Police Sergeant at Long Sutton and his Uncle, Tommy Newham, had been a Policeman in Nettleham, near Lincoln, so it wasn’t that unusual to the Capes family when he decided in a career in the Police Force in 1970, which some of his other brothers had already gone into as well. Geoff Capes was to be in the Police Force for ten years until 1980. Because of the Soviet war in Afghanistan, Margaret Thatcher used the athletes as political pawns, even if it meant wrecking their careers and destroying their dreams by boycotting the Olympic Games in Moscow in 1980. But unlike other countries that asked their sportsmen and women not to take part, Thatcher’s tactics were ruthless and more from a dictator than a Democratic country. As Geoff rightly says, “Politics should never come into sport!” and so decided that he was not going to be bullied by Thatcher and went to represent Great Britain. Thatcher’s retaliation to this defiance is truly disturbing. He's not alone in his thoughts, as my father, Bruce Barrymore Halpenny, pointed out Thatcher's antics in his book The Avro Vulcan Adventure, when she used the RAF. 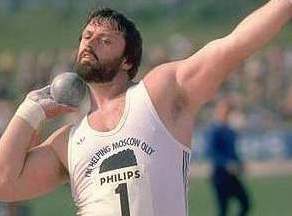 People don’t realise the Herculean pressures that Geoff Capes was under when he represented Great Britain at the Moscow Olympics and the strain that he was put under by Thatcher. He was physically and mentally pressured and exhausted and gave his all. He came fifth, but under the circumstances this was in itself an achievement, and to put it into context, it was still the best place for a British shot putter at the Olympics since 1908. His athletic career had began in 1967, in which time he had won 17 National titles, was twice Commonwealth Champion, won two Gold, two Silver and one Bronze medals at European Championships, was three times European Champion, competed in three Olympic Games and was awarded The Queen’s Jubilee medal in 1977, for services to the community. He also held the British and Commonwealth shot-putt record of 71ft 31/2in, set at Cwmbran in 1980, which stood for an impressive 23 years. 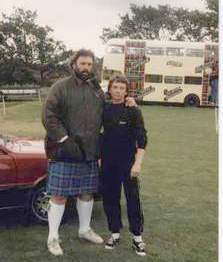 Having had Thatcher destroy his career and livelihood, Geoff was left with no reasonable choice but to go Professional in 1980 and took part in strong man competitions and Highland games which he has been World Highland Games Champion on six occasions. He has also famously been the World's Strongest Man twice and took the titles of Europe's Strongest Man and Britain's Strongest Man three times each. Hence the reason that his autobiography is entitled 'Big Shot'. I asked Geoff Capes how he got into budgerigar breeding knowing that as a young Lincolnshire lad, he had cared for injured birds and animals? “My father had bred them, but it was an incident in the Police Force that was to actually bring alive my interest.”, he said. Indeed, the incident turned out to be a warrant that as a Police Officer he had to serve on a certain chap, the warrant was for a minor incident of not paying a fine, but as he was at the gentleman’s premises he was immediately taken with the budgerigars that were all in his living room. The man went with Geoff to the police station and the matter was quickly dealt with, but the man and Geoff became friends with him even buying Geoff his first three breeding pairs of Budgerigars. 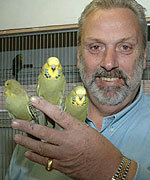 Geoff Capes is now a champion Budgerigar exhibitor who has enjoyed many show successes. As Geoff says, “With Budgerigars – as in my sport – I will always strive for perfection.” And clearly he has succeeded. A humorous time that Geoff Capes recalls is when he was invited to give a talk at an event. In his talk he laughingly said that he came from the Backwoods of Lincolnshire, a reference to the fact that his part of Lincolnshire is generally overlooked and not given more notice that it deserves. Geoff Capes is clearly proud of his Lincolnshire Roots and that of the Lincolnshire Fens. Today he still lives in Lincolnshire at Stoke Rochford, near Grantham and many of his family including his son and daughter also still live in the county. A Lincolnshire family through and through. 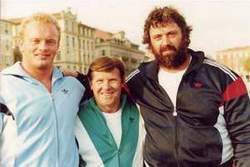 Geoff Capes, a Giant, a Great sportsman, a Lincolnshire Man ... LincsMag salutes you!